Heading to the Tucson gem shows in a few weeks? 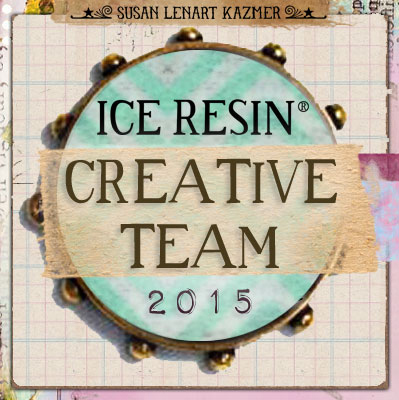 Don’t miss the fantastic ICE Resin® workshops and classes being taught by ICE Queen Susan Lenart Kazmer, mixed media guru Jen Cushman, talented artist John Creighton Petersen, and jeweler-gemologist me! New to ICE Resin®? No problem. Prepare to have your mind blown. Experienced with ICE Resin®, but want to kick your jewelry construction techniques up a notch, or more successfully incorporate mixed media techniques or non-traditional materials into your work? These classes are for you! My classes include Ombré Effects with Iced Enamels(TM), Extreme Layering in ICE Resin®, and two sessions of Intro to Gemology. The gemology class is not an ICE Resin® class, but a highly regarded, engaging lecture on gems. All classes will be at the To Bead True Blue show, at the Doubletree hotel located on South Alvernon Way at Reid Park. Classes start on January 31. For full details, class descriptions, and to sign up, click here.